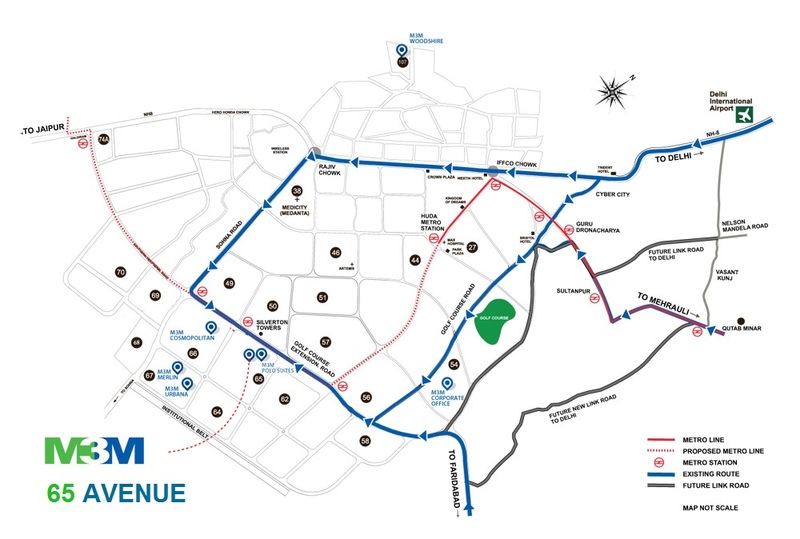 M3M India launched New Retail Project ‘65 Avenue’ in Sector 65 on Golf Course Extension road Gurgaon. M3M 65 Avenue is spread over 14 acres of High Street Retail Market with Office and Food Court Space. 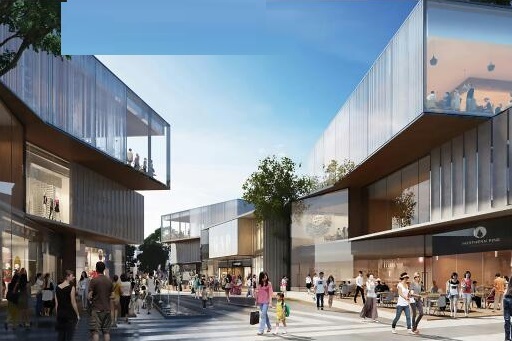 M3M 65 Avenue sector 65 Gurgaon is the largest retail project on the 60 meters wide golf course extension road Gurgaon having a number of location benefits for the buyers of retail space. The place provides good connectivity with Sohna road and Southern Peripheral Road in addition to close proximity to a number of best schools and reputed hospitals. The project is located near the proposed metro station and the close link to a number of corporate offices is also worth considering. M3M 65 Avenue Sector 65 Gurgaon Retail project will be the highest retail market in the area and will prove to be a boon for the business houses present there. M3M 65th Avenue will be the biggest Retail Street Ever which will go down in history as one of the most successfully accomplished ventures. Resale in M3M 65 Avenue is a second chance for the ones who missed the opportunity before because facilities at the best price are what the project stands for. People trust brands and brands attract customers, a number of internationally praised brands have already opened a door for the customers in the retail market and M3M 65 Avenue commercial shops for lease is the chance for you to initiate your ideas. NCR’s Biggest 14 Acres High Street Retail Market. Biggest Retail Street Market Format In Gurgaon. 1 Lac Families Living Within 1 Km. Lease Assistance On A+ Brands. Located In Sector 65 On Golf Course Ext. Road, In Heart Of Gurgaon. Prominent Schools like Heritage/Scottish High/Pathways/ G.D. Goenka / Shriram in Close Proximity. Located near Proposed Metro Station.